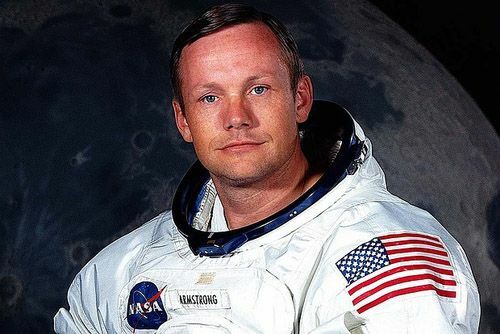 Former Astronaut Neil Armstrong – the first man to walk on the Moon – has died. Together with ‘Buzz’ Aldrin and Michael Collins, he went to the Moon and back. According to the official web site on Neil Armstrong, he passed away following complications resulting from cardiovascular procedures. The world lost another hero, an icon… The world of watch nuts also lost an icon, as he was one of the people wearing an OMEGA Speedmaster Professional (ref.105.012) during the Apollo 11 mission. Although he did not wear it when he set his first steps on the surface of the Moon (2:56 GMT, 21st of July, 1969) speaking the famous words “one small step for man, one giant leap for mankind.”. He left his Speedmaster on board of the Lunar Module, as one of the board instruments broke. His Speedy was able to replace its function. Therefore, Buzz Aldrin was wearing the first Speedmaster (ref.105.003) on the Moon. Collins’ Speedmaster Professional (ref.145.012) wasn’t on the Moon at all of course. More about this can be read here on Chuck Maddox’s site, who did a lot of research to who was wearing what, where and when. 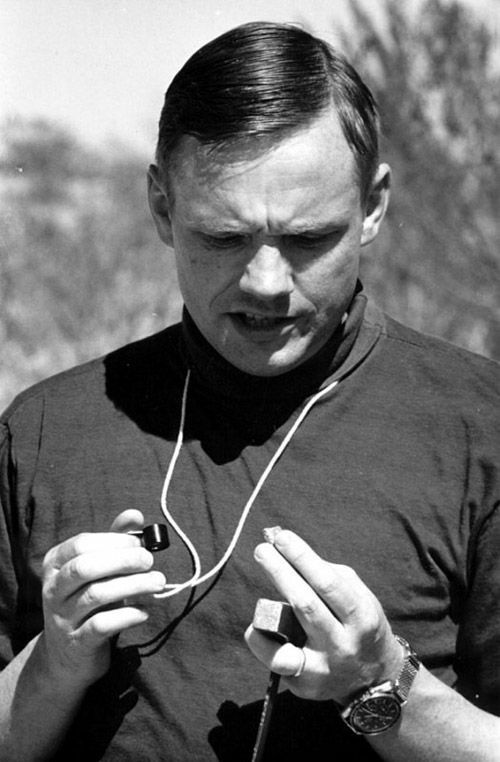 Above, you see Neil Armstrong wearing his OMEGA Speedmaster on a JB Champion bracelet (the bracelet preferred by NASA astronauts). More about astronauts and their Speedmasters can be found in this article we did a few years ago (click here).